As global temperatures continue to rise and break records, polar sea ice covering an area about the size of India has vanished, according to climate scientists. The trend of polar ice melt has been alarming researchers, with sea ice in the Arctic and Antarctica being measured at record lows for this time of year, Reuters reports. “There are some really crazy things going on,” Mark Serreze, director of the U.S. National Snow and Ice Data Center (NSIDC) in Boulder, Colorado, told the news service. Serreze said temperatures in regions of the Arctic, for instance, were 36 degrees Fahrenheit above average on some days last month. Beyond that, the NSIDC satellite measurements show that on Dec. 4, the extent of polar sea ice was 1.48 million square miles below the 1981-2010 average. That amounts to about the size of India, or for another point of reference, two Alaskas. 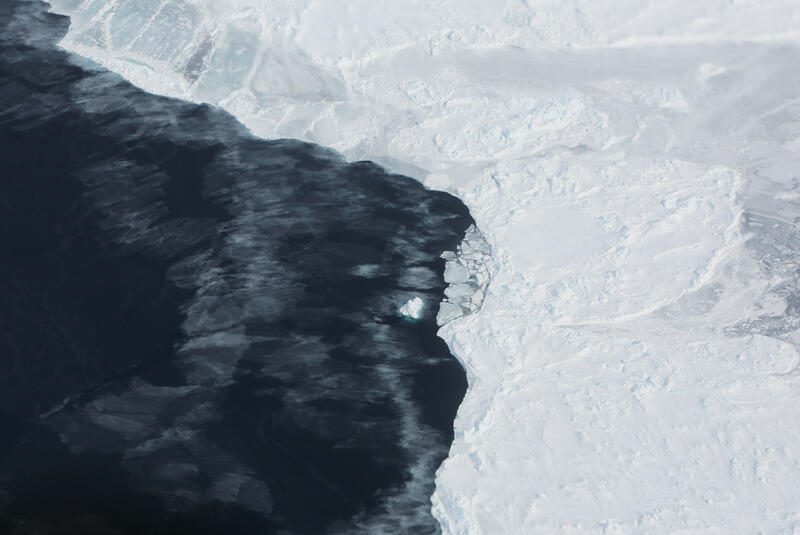 The latest measurements appear to reverse a trend of expanding Antarctic sea ice, which some skeptics cited to contradict evidence of climate change. A number of factors may be contributing, including warmer waters in the Pacific from this year’s El Nino weather event, the report said. Scientists say man-made global warming also played a major role. This of course has been viewed as a major global crisis for world leaders. With last year’s Paris climate agreement, nearly 200 governments agreed to curb carbon emissions with the goal of keeping the world’s temperature increase to no more than 2 degrees Celsius above the global average temperature before the Industrial Revolution. It remains unclear whether the U.S. commitment to that deal will be honored by President-elect Donald Trump, who has previously called climate change a “hoax” and stated he might want to pull out of the Paris agreement. Mr. Trump backtracked somewhat in November, telling the New York Times that he has an “open mind” when it comes to climate change. Those meetings came as Antarctica’s sea ice measured 4.33 million square miles — its smallest for early December, effectively beating 1982’s record, NSIDC reports. Similarly, sea ice in the Arctic, though expanding for the winter, hit a record low of 3.96 million square miles this season, below 2006’s record. All of this is “an extraordinary departure from the norm,” Anders Levermann, a professor at the Potsdam Institute for Climate Impact Research, told Reuters. Scientists worry that these developments could have a domino effect. As sea ice melts, glaciers could collapse more quickly into their surrounding waters, potentially increasing the rate of sea level rise rapidly.